John Runde has extensive trial experience representing plaintiffs and defendants in commercial litigation in courts throughout Texas. These matters have involved construction defect claims, complex contract and fiduciary duty disputes, non-compete claims, employment claims, and first-party insurance defense claims. Before attending law school, John served in the United States Marine Corps for six years and was deployed to Iraq in 2007-2008. 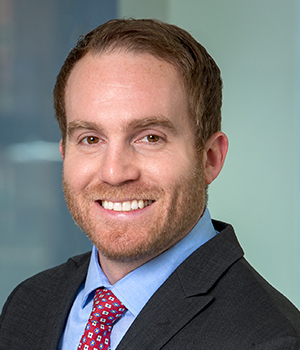 His experience as an infantry Marine during Operation Iraqi Freedom shaped his perspective in a fundamental manner and has been a strong asset to him as a courtroom advocate and a counselor to his clients. Before joining Weisbart Springer Hayes, John worked for a highly respected litigation firm in Corpus Christi, where he gained significant trial experience.